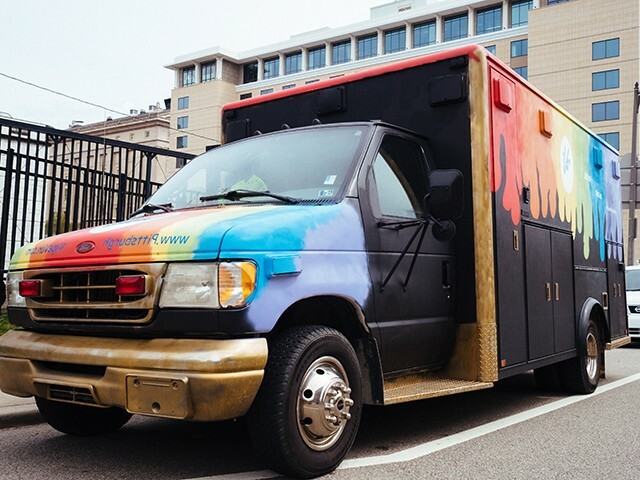 The Vape Van, a mobile offshoot of City Vape & CBD in Leechburg, will be officially unveiled at Pittsburgh Pride in June. 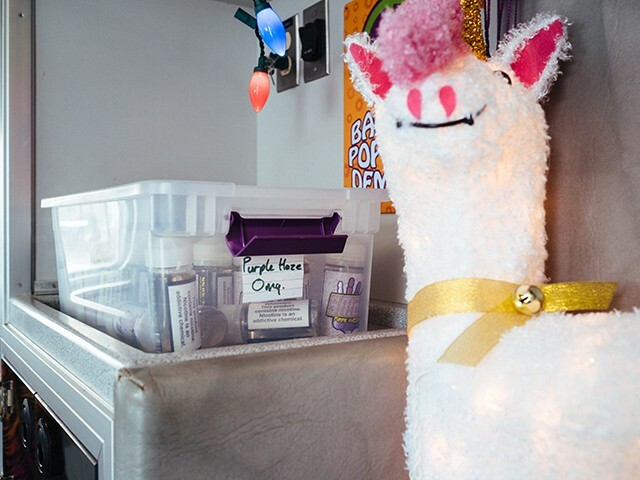 The colorful converted ambulance, owned by partners Janel and Lisa Gregory, will sell various CBD and vape products. Cannabidiol, or CBD, is a naturally occurring compound found in the cannabis plant. The compound can be extracted and diluted with coconut or hemp seed oil to be incorporated into vapors, creams, lotions, sublinguals, edibles, and other products. 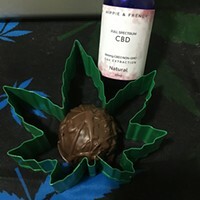 CBD products have been gaining popularity as natural remedies, with some scientific studies indicating they can be used to treat some ailments and conditions, like epilepsy. 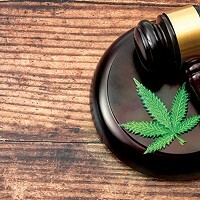 CBD’s legality varies from state to state, though unlike other products derived from cannabis, it’s not psychoactive, so it won’t get you high. Lisa says she and her wife were inspired to create the Vape Van in order to make vaping and CBD products more accessible to the Pittsburgh community. 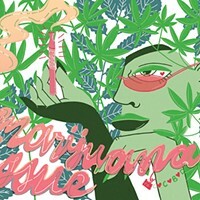 Considering the stigma surrounding cannabis-derived products, the two thought it might be easier to bring the products to people rather than the other way around. “There’s a lot of benefits that come with CBD, but there is a barrier of access. Some people don’t feel comfortable walking into certain stores and asking about it,” Lisa says. The Gregorys got into the CBD and vape business following the passing of a close elderly friend from lung cancer, who had used CBD to ease his pain. The two founded City Vape in order to provide a health-and-safety-oriented, comfortable experience to people of all backgrounds. “We’d want people to come to the store to buy the oils and creams, that allows them to come in and have a conversation about what delivery method is best for them,” she says. Lisa describes herself and her wife as “fans of regulation” when it comes to selling CBD. The Gregorys have been testing out the Vape Van prior to its upcoming unveiling at Pride, parking it on street corners and handing out promotional materials and giveaways. Right now, they’re still trying to figure out exactly how a van selling vape and CBD products ought to operate. Local artist and City Vape customer Samantha Hoover is responsible for the bright design of the van. She says she and the owners aimed to give the vehicle a “throwback, hippie kind of feel” in order to make it stand out. So far, the Vape Van has been met with more confusion than interest. Lisa hopes that will change. Lisa says a main goal of the Vape Van is to help people have more conversations about the benefits of vaping and CBD and help people understand how the products actually work. 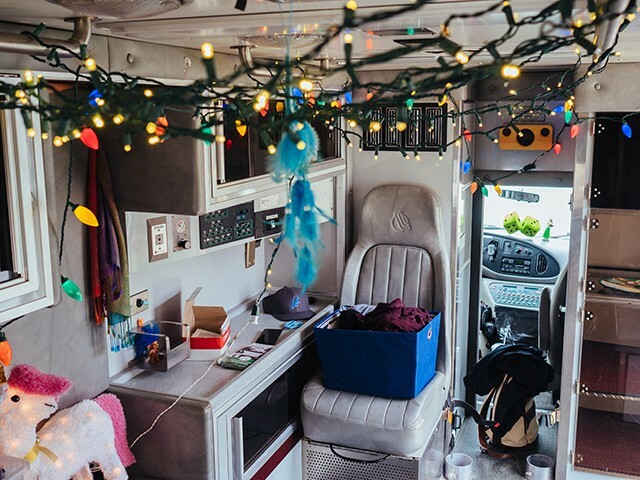 “I hope that the Vape Van allows a bit of fun and whimsy in a world right now that just feels it has lost its place,” she says.